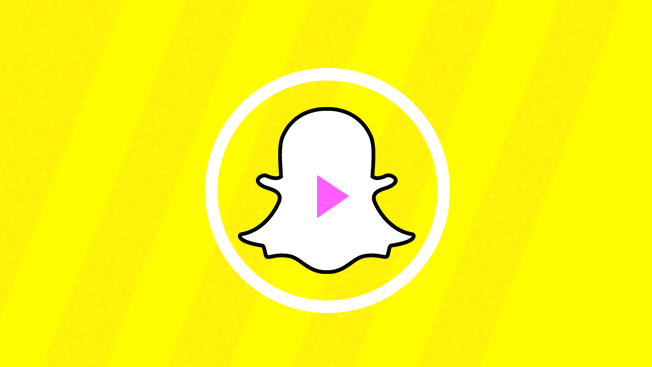 Snapchat may not be a presenter at the Digital Content NewFronts this week, but it's on the tip of the tongue of some of the biggest publishers pitching advertisers in New York. While YouTube is undoubtedly the biggest platform with a NewFronts presence—CEO Susan Wojcicki will make a case for marketers to shift hefty TV budgets to digital at tonight's Brandcast event—publishers are selling media buyers with promises to crank out lots of custom Snapchat content. Unsurprisingly, Vox, Hearst and BuzzFeed (three top Snapchat Discover partners) touted buzzy announcements and stats during their presentations, but a few other publishers interestingly plan to launch new media brands through the ephemeral video app. Here are five Snapchat efforts that publishers are talking about this week. During its presentation on Monday, the viral publisher said that 75 percent of its 600 pieces of daily content get viewed on platforms besides its own website—with 21 percent of all views coming from its Snapchat Discover channel. To compare, Facebook makes up 33 percent and YouTube generates 14 percent of daily views. Vox Media isn't an official NewFronts presenter, but it's making the rounds with media buyers at three events this week. On Tuesday, Vox Media's CEO Jim Bankoff said his company is opening a Snapchat studio that will create content for all eight of its brands, which include Eater, The Verge and Curbed. Vox.com's Discover channel will share content produced in that studio. Up until now, Vox Media's Discover Channel has mostly highlighted content from its flagship site in the channel. "We'll collaborate with Snapchat and pick the moments that are biggest to the Snapchat audience and Snapchat advertisers, and program around those," Bankoff told media buyers during the first of three events Vox Media is hosting this week. In addition to a slate of new original programming and a documentary series, PopSugar is launching a new wellness channel named Glow that will specialize in content like healthy recipes and life hacks. To build the brand, PopSugar will create Snapchat-specific content, as well as content for Facebook, YouTube and Instagram. Hearst made a splash at its first NewFronts presentation with the launch of "Magic Mike Live + Cosmopolitan"—a partnership with actor Channing Tatum that includes Snapchat, Facebook Live, virtual reality and articles. Cosmo will also produce a series called "SnapHacks," which features 10-second hacks about food, fashion and beauty on its Discover channel. Ellen DeGeneres is teaming up with Warner Bros. Television Group and "Damn, Daniel" creators Joshua Holz and Daniel Lara called Damn, Daniel Boyz. The show is one of six series that DeGeneres is launching with the Ellen Digital Network.